Whether I’m deplaning at Kauai’s airport or Honolulu International, where my sister now lives, homecoming always feels the same and I hope that will never change. It starts with the slow creep of damp air that seeps through my half-day-old travel wear as I wheel my carry-on toward curbside pick-up and ends with a bittersweet sense of appreciation and longing for the islands that raised me. At Honolulu’s arrival terminal several weeks ago, I smile when I hear it: the familiar island twang of Hawaiian pidgin, which is today a product of the ethnic groups imported to till the sugar cane fields more than 150 years ago. The Filipinos, Chinese, Portuguese and Puerto Ricans did their best to find a cohesive way to communicate with one another and thus, the inverted grammar of the creole vernacular is one of the few remains after the industry collapsed in the ’90s. The next morning I pop into Brue Bar off Bishop Street in Downtown Honolulu. I’m in a slight daze and need one more cup to activate the brewed drip my brother-in-law made for my sister and I before they both shoved off for work. Blank faced, I placed an order for a Chai latte. “Shoooots!” acknowledged the barista with a smile. At that moment, I noticed out of the corner of my eye two older gentlemen in Aloha shirts conducting a business meeting. Enjoying the sweet and spicy warmth of my order I also noticed a barista on her break, munching away at a Spam musubi while she chatted with her colleague on-duty. I smiled too. During my visit I found myself chuckling at how small the islands are, and continue to be. 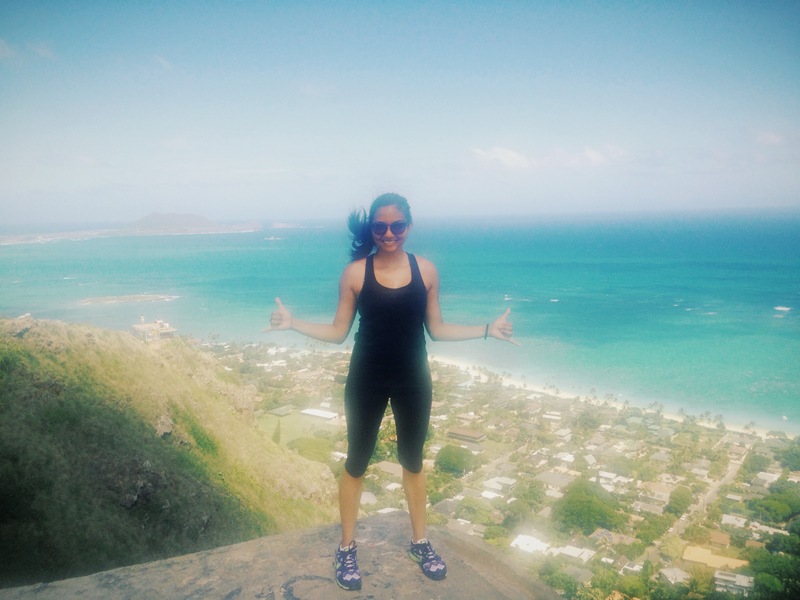 Hiking up to Pillboxes in Kailua we meet a gentleman who used to coach girls varsity soccer at a rival high school. Sitting down to lunch in Chinatown we realize our waitress is a sibling of one of our high school classmates. Running into another high school classmate as we made our way up to the Sunset Bar at chic Modern hotel in Waikiki. Some people make conscious efforts to avoid run-ins like these, but these are the moments I live for. On top of the first “Pillbox” in Kailua, on Oahu. When the stomach begins growls, which in my case is a persistent event the local grinds (or food) always delivers. 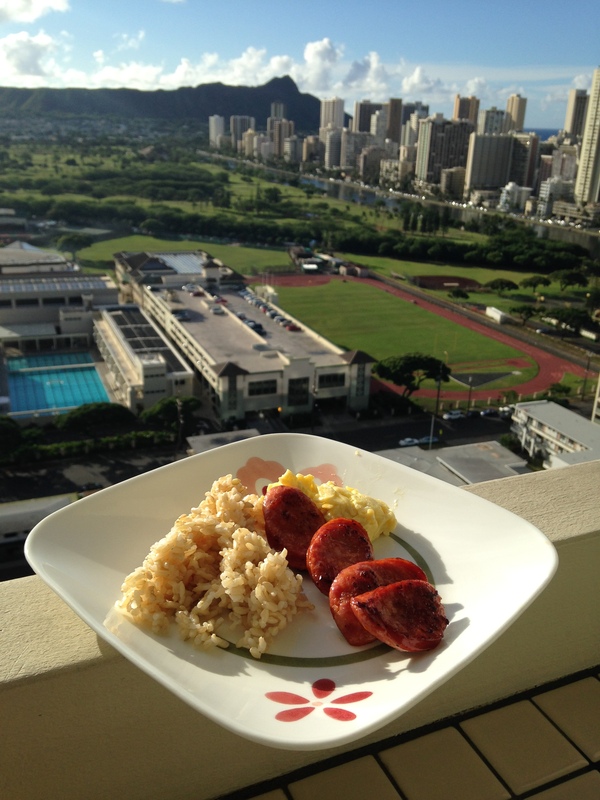 Waking up to the smoky smell of Portuguese sausage and eggs frying – the aromatic white jasmine rice freshly steamed and heaped onto a plate – transported me to both childhood weekends with Dad helming the frying pan and early week days before school, my sister and I begging our Mom to take us to McDonald’s for a Portuguese sausage breakfast platter before the bell rang. Fittingly, my sister and I found ourselves sharing the same platter at the Kailua McDonald’s during my visit; just a little pre-breakfast (it’s a thing) while we waited for our turn to devour a stack of guava chiffon pancakes at Cinnamon’s. 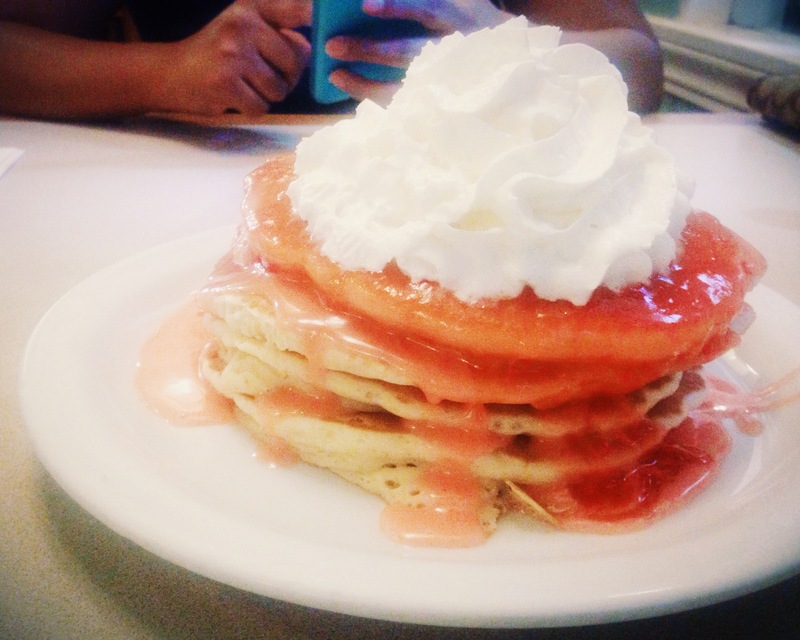 Guava chiffon pancakes from Cinnamon’s. Whatever my reason for visiting – a wedding, perhaps a family reunion or just because – I leave full and satisfied, yet always hungry for more. It’s such a special place, isn’t it? Thanks for reading!